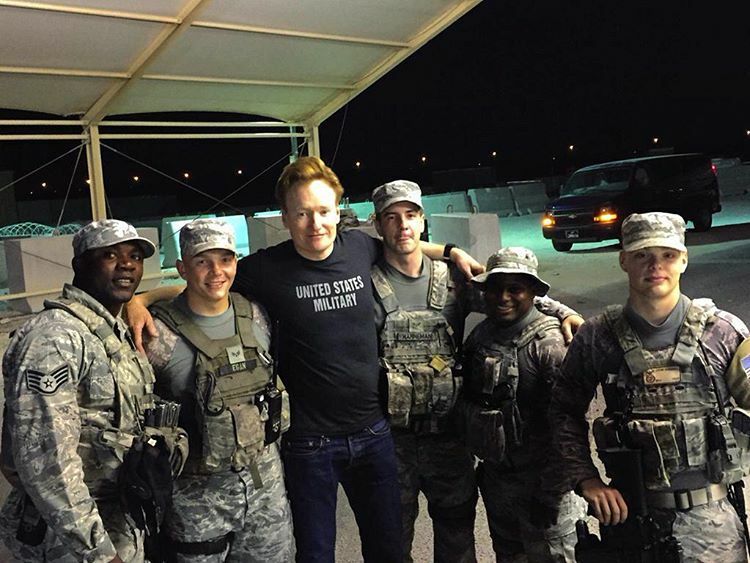 Troops at Al Udeid Air Base in Qatar are getting an unusual guest this week: Talk show host and comedian Conan O’Brien. Conan landed at Al Udeid today with First Lady Michelle Obama. During his visit, O’Brien will be putting on a show for some of the roughly 11,000 service members stationed there. Portions of Conan’s trip to Doha will be shown on his late-night TBS show later this year, according to Entertainment Weekly.